Completely new graphics operating interface design. Support main stream and extra steam encode synchronously. Support 3G & WIFI extension via USB port. 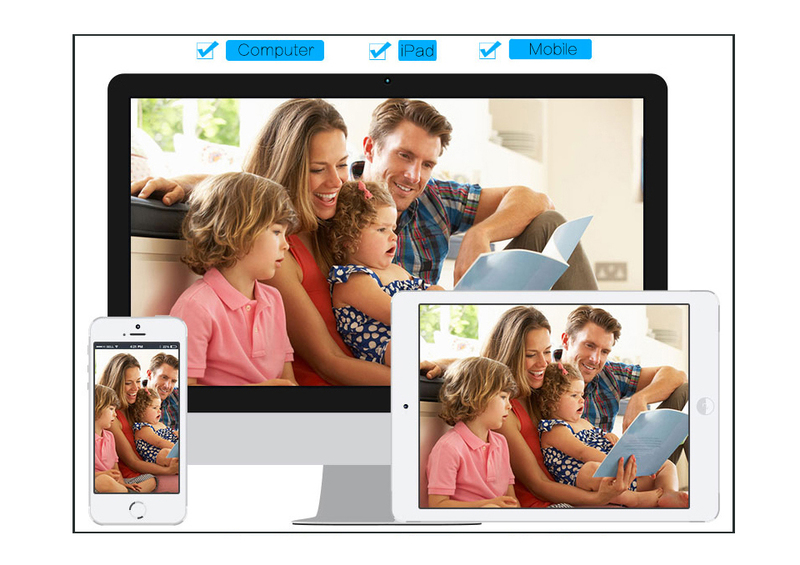 Support mobile monitor (iPhone, Android). Support VGA and HDMI HD output at the same time. 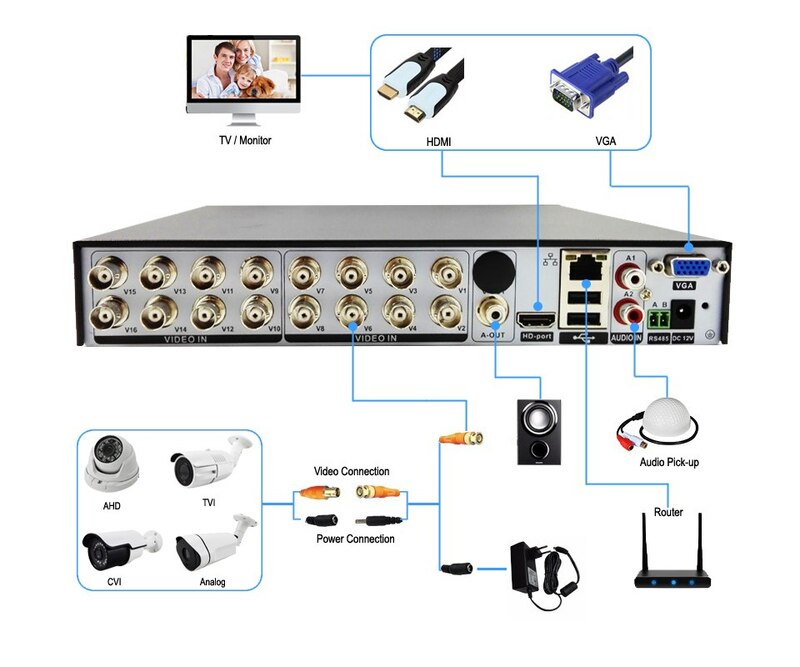 Support automatically search and add front-end ip camera. Support Full screen and Multi-screen playback. support sending picture) to the designated email. Support Multi-user and user permission setting. Support pre-alarm recording (before 5 sec), not lose any suspicious screen. Status LED: Power, Network, Record and Hard Disk. Support UTC functions also is called Coaxial Control function.